Apparently, when you solicit questions for an "Ask the Devs" session, you're going to get some rather random contributions. There are currently 12 million people who are actively subscribed to Blizzard's World of Warcraft. That's a very, very large community, with people from dozens of countries and all walks of life pretending to be orcs, elves and dwarves on a daily basis. So it stands to reason that if you ask that millions-strong community to submit questions for your in-house development team, you're going to get quite a wide range of submissions. Such was the case with the first "Ask the Devs" session posted yesterday to the Battle.net forums. While the questions are all understandably about WoW, they really run the gamut of all different types and kinds of players. 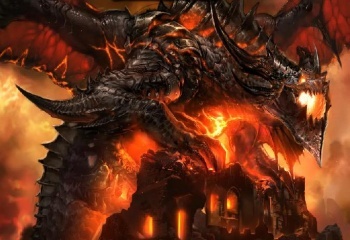 Some are more general questions that affect all WoW players, to a point: Will Blizzard update Burning Crusade and Wrath of the Lich King quest zones as it did the old world in Cataclysm? Will the dated-looking races be given a graphical update of any sort? Can players actually get some more visual customization for once, please? In other words, it's pretty much what you'd get if you took the Q&A portions of BlizzCon panels and put them online, minus the advent of Red Shirt Guy. We polled the entire World of Warcraft development team and included the most interesting, unusual, and potentially terrifying responses. They included: roasting my own coffee; hiking all over SoCal; gardening with yuccas and bamboo; building my own 3D printer; attempting to turn my living room into a live action scene from Tron using blacklights, stencils and a helluva lot of paint; autocross racing my sweet ride; board games (I have over 450 of them); being spinal tapped to Tumblr, Reddit and 4chan; mastering cooking (duck confit, breads, pastas, more breads); building Star Wars Lego sets; trying to control my computer using brainwaves and an EEG reader; plein air/outdoor watercolor painting; geocaching; hockey; painting miniatures; swing dancing; crafting old-time cocktails; running 5 / 10 Ks / mud runs; motorcycling; go; blending smoothies; skydiving; work on my Jaina/Varian fanfic; baking bread; playing drums; reading sci-fi; comics; playing WoW. For the record, I think that "attempting to turn my living room into a live action scene from Tron using blacklights, stencils and a helluva lot of paint" is my new favorite hobby description of all time. You have my respect, anonymous WoW developer.